Need to shed a few pounds, increase your physical energy, and enhance your mental focus? 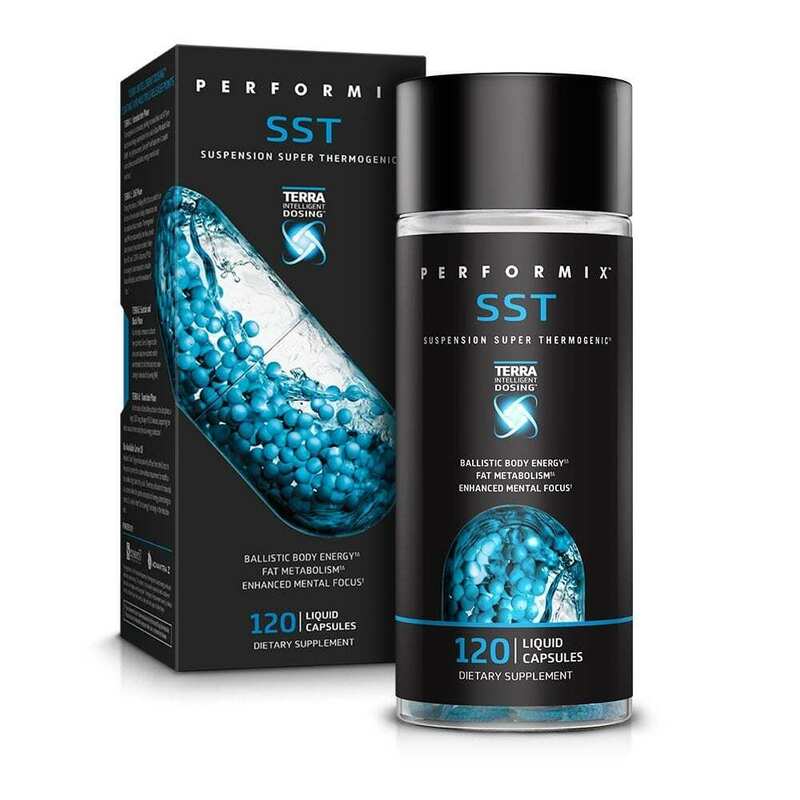 Performix SST Capsules help you with all of that and more. Like all Performix supplements, these capsules are engineered to work with every single molecule in your body to ramp up its performance*. Performix SST Capsules are absorbed quickly and time-released, so you get the boost of energy and focus you need throughout the day*. SST Capsules are thermogenic supplements that work synergistically with your body chemistry to create the energy you need from within*. Unlike many thermogenic alternatives, these capsules do not cause jitteriness or uncomfortable increase your body temperature*. Many users would not even notice they were taking them if it were not for the dramatic gains seen at the gym, inches lost from their waistlines, and overall boosts in productivity. 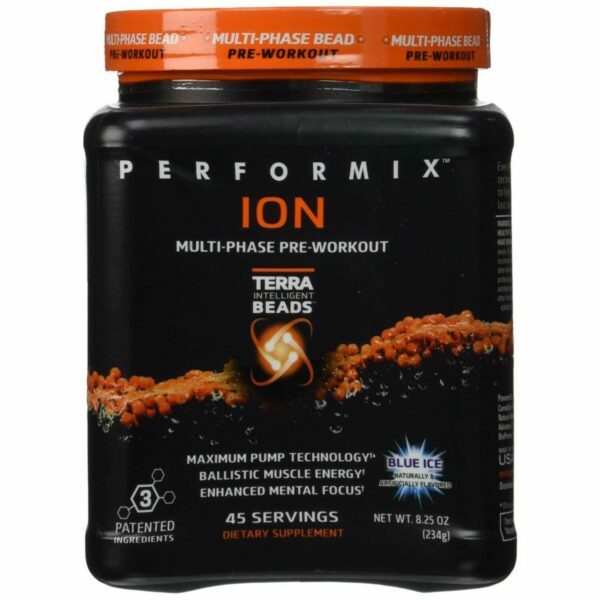 Every Performix supplement is created with the use of TERRA Intelligent Dosing™ technology. This technology allows Performix supplements like SST capsules to be best in class bioavailability enhancers. The thermogenesis process starts, which stimulates heat in your body and raises your metabolic rate. You start burning calories, you feel a surge of energy, and your brain starts working more efficiently*. Your body starts to cool down, while thermogenesis and metabolic rate stay the same, which means you’re burning calories at a quicker speed with less effort from your body. During this phase, you stay focused and alert*. The SST Capsule works its magic on harmful substances in your body that slow down its functions and slow down your metabolism. You keep burning fat with minimum effort and a sustained level of energy and alertness*. Your body gets a rush of B-12, which boosts your mental and physical energy while your body adjusts to the supplement ending its course. There’s no crash, and your energy levels fade subtly and naturally as the day ends*. Sensoril® is a specially formulated phytonutrient that elevates energy and increases mental stamina. 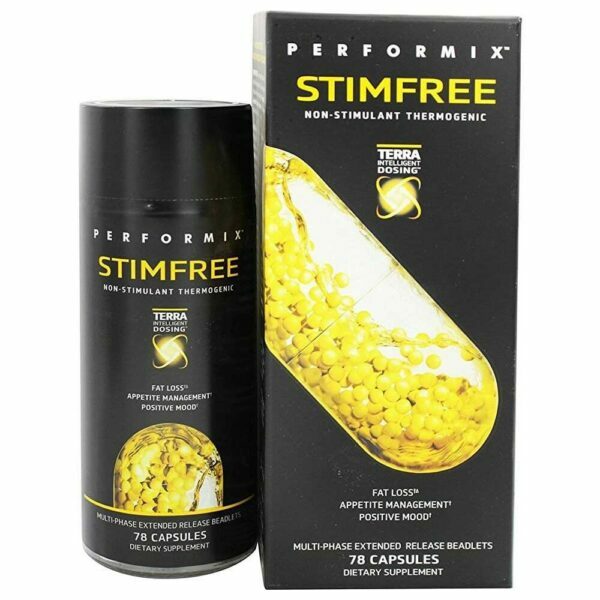 Performix developed and patented it to have a gentle effect on your body while offering real, noticeable results*. Huperzine A is a naturally occurring sesquiterpene alkaloid compound that has the ability to cross the blood brain barrier and increase focus and recall abilities*. Caffeine is a centuries-proven mental and physical stimulant that increases your metabolism and promotes agility in the long-term. Caffeine also has natural mood-boosting properties that keep you feeling good*. Yohimbine HCI is sourced from an evergreen tree found in parts of central and western Africa. It improves athletic performance, promotes weight loss, and enhances mood*. L-DOPA is a chemical that already occurs naturally in your body. It’s the precursor to dopamine, the feel-good chemical that prompts you to take charge of your life and enjoy it*. Advantra Z® (also known as bitter orange) is a compound Performix developed to help break down fats in your body faster*. B-12 is the top energy vitamin. It’s critical to the proper functioning of your central nervous system and the creation of red blood cells. Without enough of it, you become mentally sluggish and physically tired. With enough of it, you stay sharp and ready to take on the world*. Niacin is an important B vitamin that works with B-12 to enhance central nervous system functioning. It also helps reduce cholesterol and triglyceride levels, reducing strain on your body and helping keep you healthy*. Black pepper has been shown to improve the absorption rate of supplements due to piperine, a key part of its composition*. 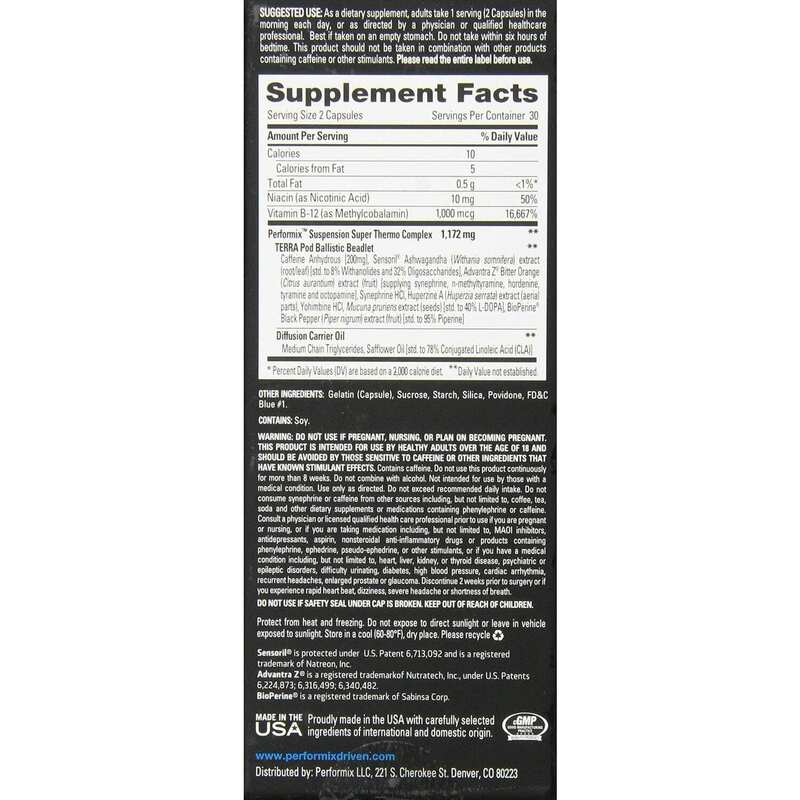 Will I feel jittery when I take this supplement? No, Performix formulated SST capsules to make sure they do not overwhelm your central nervous system or your body. Many thermogenic supplements do make people feel jittery, but SST capsules are made with your comfort in mind. How quickly do SST capsules work? Each individual’s experience is slightly different based on unique physiological factors, but, within an hour, you should start to feel the effects of the first phase of this supplement. Will I actually lose weight from taking this supplement? SST capsules speed up your metabolic rate and increase your energy levels*. When mixed with a healthy diet and exercise regimen, you can expect some amount of weight loss. What side effects do SST capsules cause? Some users have noted mild nausea if taken on an empty stomach. If this happens to you, try taking the supplement with food and a full glass of water. If other side effects occur, discontinue use. Is SST safe for pregnant women? Most supplements should be used with caution by pregnant women, and SST capsules are no different. Consult a physician before using if you are pregnant. Will the stimulating properties of this supplement affect my sleeping habits? The four distinct phases of SST capsules allow for a slow decrease in energy throughout the day, which usually means you begin to feel tired at your normal time of day and that your body and mind are ready to go to sleep when your schedule dictates. Will this supplement make me want to work out? Yes! You will find that you have a tremendous amount of extra physical energy while taking SST capsules. This energy will help you get more out of your workouts at the gym.